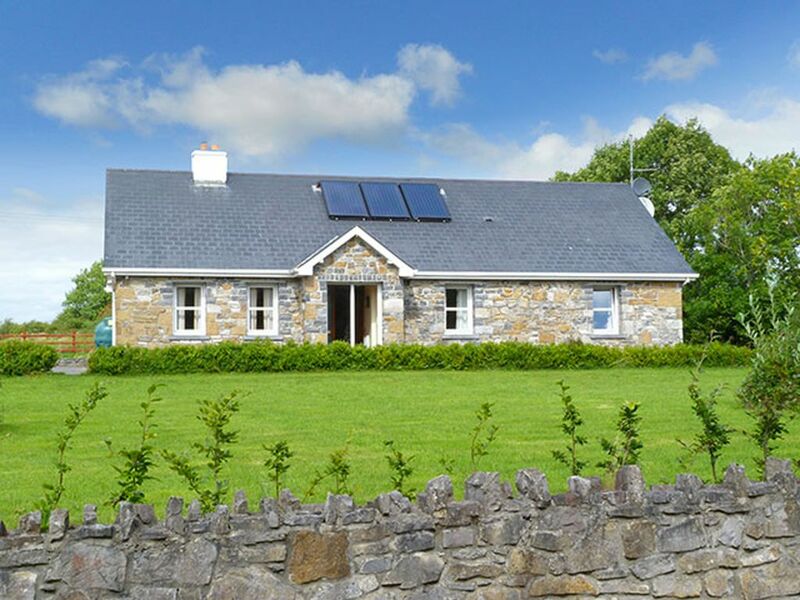 This gorgeous stone faced house is located 4 miles from Strokestown, in a spacious garden near Grange lake and harbour. The property benefits from a private boat jetty and BBQ area beside the lake. Tastefully furnished throughout, all rooms are en-suite and have TV. Strokestown is a heritage town, home to Strokestown Park House and famine museum and St John's Genealogy centre. It is also a popular angling centre for coarse and pike fishing, being surrounded by 65 lakes within a 7 mile radius.Shop 4 miles. Pub 440 yards. Beach 38 miles. GF: lounge, kitchen/diner, 3 doubles all with ensuite shower rooms, twin with ensuite shower room, bathroom.The first EUR20 of oil and 10 units of electricity is included and will be meter read after this., open fire with starter pack, linen and towels included, cot, high chair, TV, dvd player, radio, CD, fridge/freezer, microwave, dishwasher, w/machine, internet access, hairdryer, uk tv channels, open plan partially enclosed garden, garden furniture, bbq, private off road parking. One pet welcome.